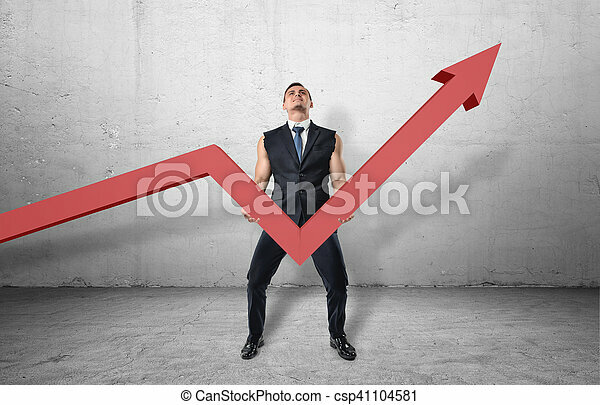 Businessman holding a big red line graph with an upturned arrow and trying to raise it up with his muscular arms. Working hard to increase incomes. Making efforts to grow profits. Improving business success rate.